November is gonna be a busy month. 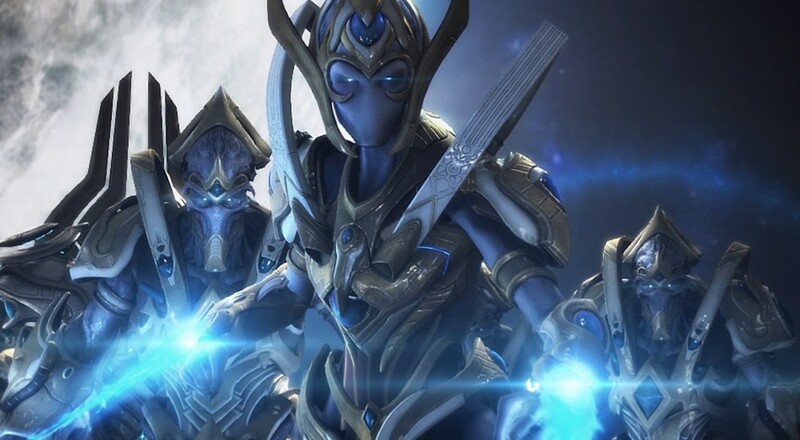 A scant year ago, we relished the first details of StarCraft II: Legacy of the Void's dedicated co-op mode with the official announcement of the game. Then Blizzard went radio silent on the final piece of their wildly popular sci-fi strategy title, leaving us clamoring for new info. This weekend at the Starcraft II World Championship Series, Blizzard dropped the mic on the stage by casually tossing out the release date and watching the ensuing scramble of everyone dashing to their PCs. You and your co-op commander of choice will be waging cosmic war against the enemies of the galaxy November 10th. Not only did Blizzard announce that Legacy of the Void was rolling on up onto PC's "slightly further away than immediately," but they went ahead and tossed a slick intro cinematic at our already stunned minds. Blizzard might very well have the best cinematics department in the business, and this one sure doesn't disappoint. Especially if you've been a Protoss die-hard since 1998. November 10th might right a bell, given that Legacy of the Void shares that release date with such titanic releases as Rise of the Tomb Raider, and Fallout 4. Neither of those games has co-op, though, so if you're itching to get your two-player action on, Legacy of the Void is your best bet. Still, good luck juggling your money and time on deciding which of these titles to invest in.